YEREVAN (RFE/RL)–An envoy from the European Union was in Yerevan on Tuesday and Wednesday to discuss the political situation in Armenia with President Serzh Sarkisian and opposition leader Levon Ter-Petrosian for the second time in a week. “We are entering a more active period in relations between Armenia and the European Union with the discussions going on in Brussels about Eastern Partnership,” Peter Semneby, the EU’s special representative to the South Caucasus, told RFE/RL after the talks. He was referring to an ambitious program to bolster the EU’s ties with six former Soviet republics, including Armenia. 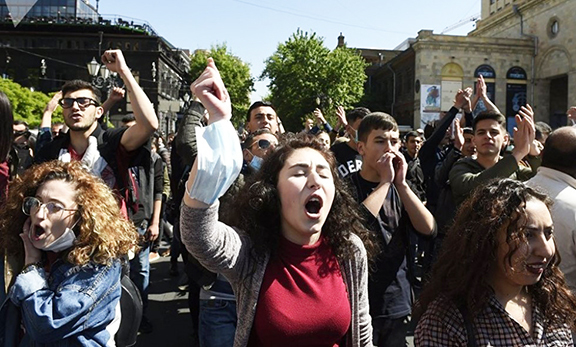 Semneby indicated that his talks with Sarkisian and Ter-Petrosian focused on political developmen’s in Armenia almost one year after the deadly March 1 unrest in Yerevan. “How that anniversary is going to be observed is also going to be an important indicator for how the political life will continue to develop in this country,” he said. Sarkisian’s office told RFE/RL that the Armenian president’s meeting with Semneby on Tuesday had an “informal” character. It said they “continued the exchange of views” that began at their previous meeting in Yerevan on February 18.